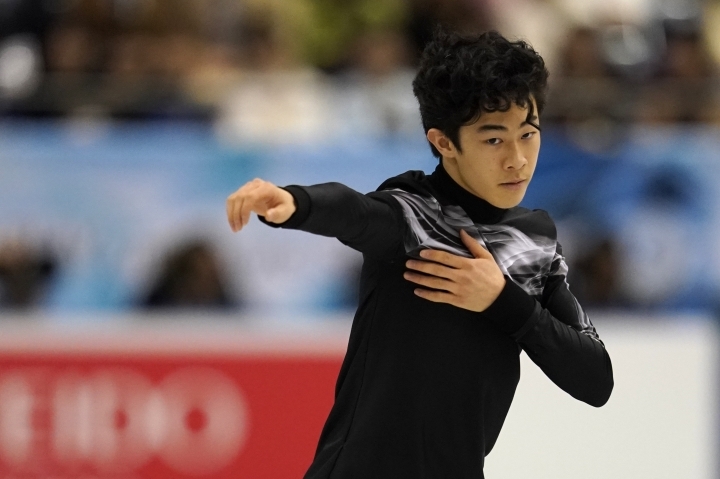 FUKUOKA, Japan — Two-time world champion Nathan Chen and teammate Vincent Zhou dominated the men's free skate on Friday and increased the lead of the United States at figure skating's World Team Trophy. 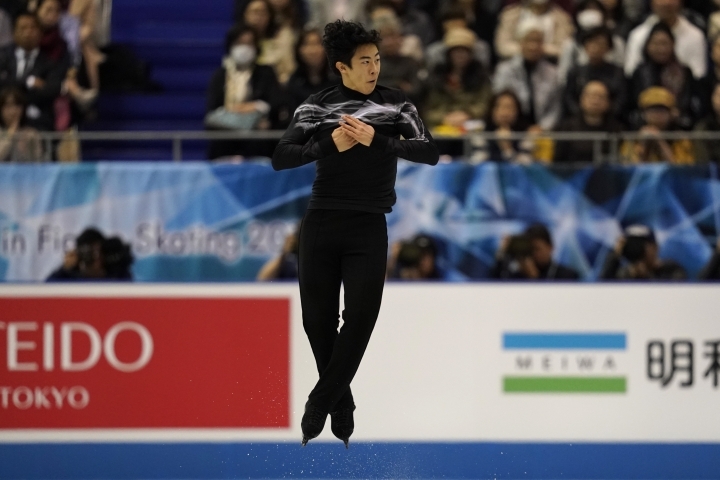 Skating to "Land of All," Chen landed three quad jumps to finish first in the free skate with 199.49 points. 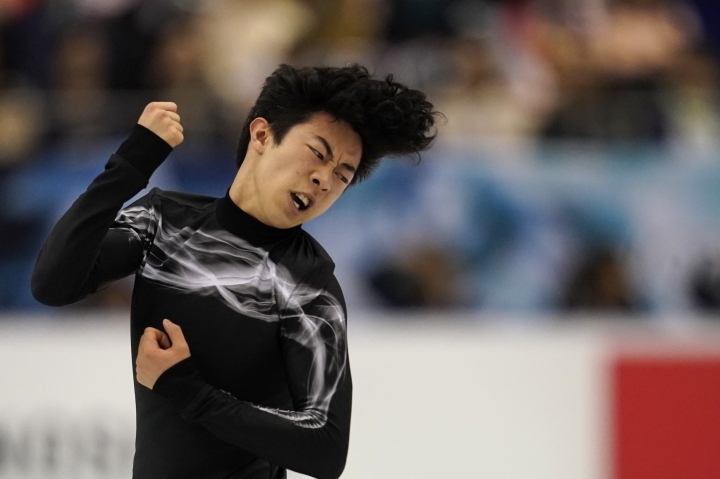 First after the short program, Chen opened with a quad salchow and added a quad toeloop-triple toeloop combination in the first half of his routine. The 19-year-old full-time student at Yale also landed a quad toeloop. Zhou, a bronze medalist at the world championships, also landed three quad jumps to finish second with 198.50 points. Shoma Uno of Japan was third with 189.46. 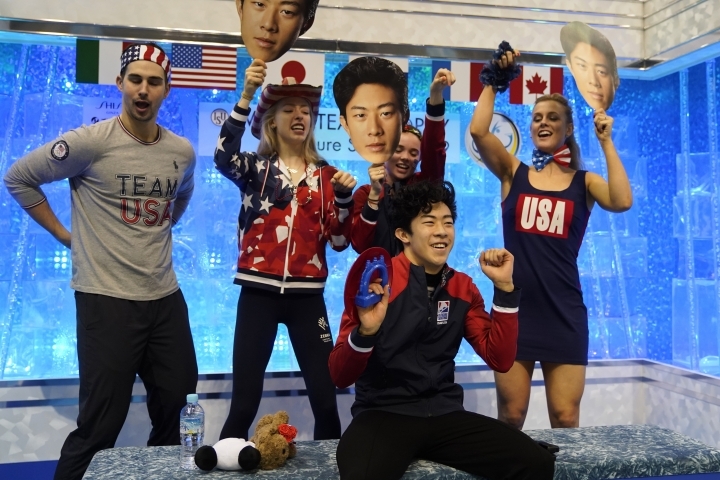 The United States leads the overall standings with 91 points, 12 ahead of Japan. Russia is in third place with 70 points. Gabriella Papadakis and Guillaume Cizeron of France won the free dance to win gold in ice dancing with 135.82 points. Victoria Sinitsina and Nikita Katsalapov of Russia were second with 130.63 points while Madison Hubbell and Zachary Donohue of the United States were third with 127.11. 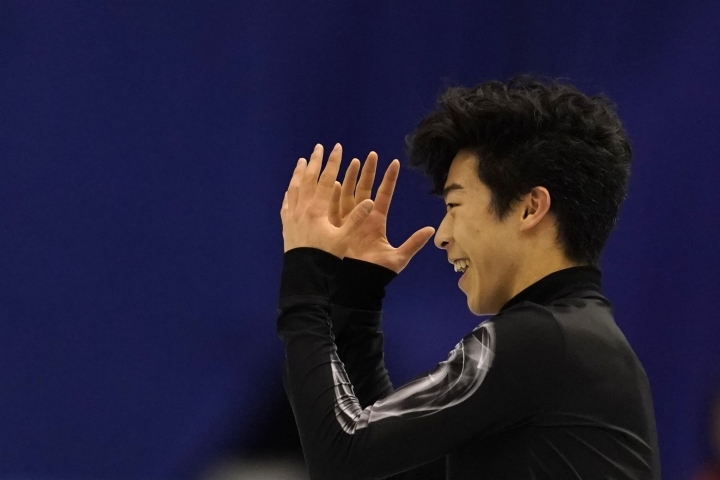 The competition concludes on Saturday with the pairs and women's free skate.